How Gazebos Create Best Wedding Venues? The wedding is one of the most precious events and we all want to celebrate it in an outstanding way. Deciding the venue and its decoration are quite hectic tasks especially when the wedding date is from next week. All the arrangements depend on the number of guests and venue, however, while doing all these preparations you don’t even want to go out of your budget as well. In most of the cases, people book a marriage hall despite having a large yard at home. So are you one of those who want to chase old patterns or you want to set a new trend by organizing your wedding function in a splendid way? Well, if you prefer a park, garden or lawn, there will be much more ideas for designing and decoration. Gazebos have no match especially when it comes to organizing the sitting area because they can be hired or bought in multiple sizes. The beautifully designed gazebos are perfect for adding a splendid touch to any yard or garden. To provide the best entertaining view to all guests, there can be nothing best other than gazebos as people feel quite comfortable sitting in an outdoor place because such functions can be organized in day timing as well. Installing luxurious gazebos of shiny shades can uplift the whole appeal of function and the ordinary event will be instantly converted into luxurious one. If you are going to organize the wedding function in evening, there is a good chance to add some extra luxurious touch by putting lights everywhere. Sitting under thousands of stars in the sky while enjoying a little cool breeze and enlightened view of gazebos can genuinely give you moments which will be saved in the most precious memories. You may have seen the most incredible lights in your life but there is no comparison of the ones which are done in an outdoor area. If you do not like the gazebos available in the market and want some different and unique stuff then customized gazebos can prove quite effective for you because the custom gazebo side panels can be managed as per your own need. 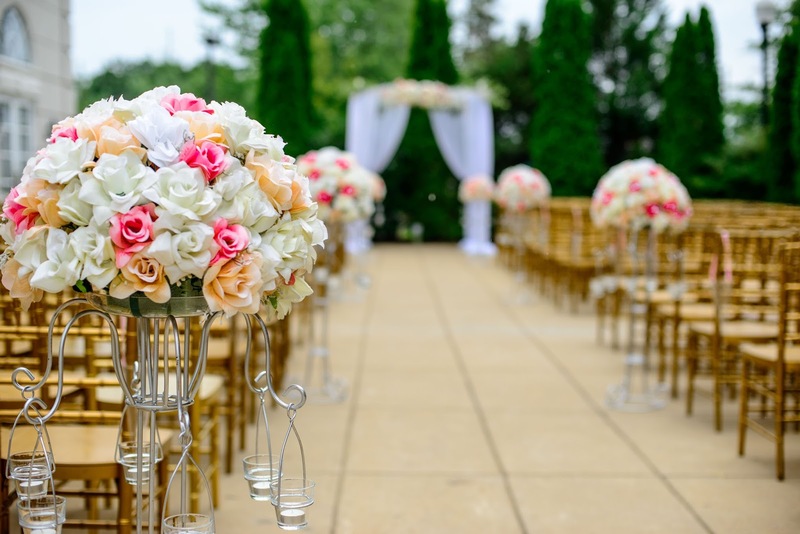 Curtains or some other stuff can also be added however if you clearly describe the wedding event then some extra features will also be added by the manufacturer because expert persons know what can suit best for an outdoor wedding. The side panels can be omitted or added depending on your choice whereas the size and canopy can be managed as if the lawn of your house is the venue then canopies of small sizes can prove best however for large gardens, medium and large sizes of gazebos look great. 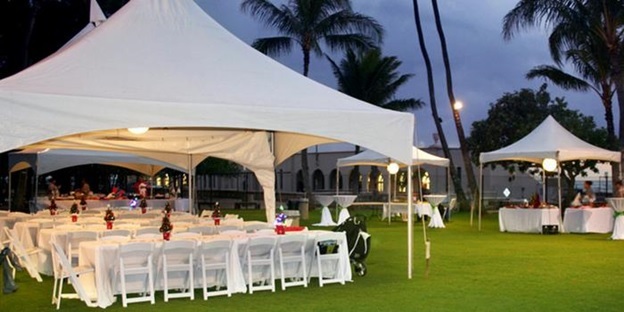 While decorating an outdoor venue with gazebos, you’ll get plenty of ideas for sitting. If the event is more of the formal type then round tables and chairs can give the best use. However, if you want to create an informal party where your friends also want to throw a party then bolsters, pillows, and cushions on the carpet will look outstanding because a traditional touch in a wedding function always goes hit. More on, every family or group of friends will feel comfortable in their separate gazebos where they can easily enjoy themselves. Cost-effectiveness is also vital to consider and most of the wedding planners suggest outdoor functions because people can save the bills of large halls, excessive decoration and other charges because, in a ground, simplicity can also give a generous as well as luxurious appeal.